More and more companies are connecting their products, but there are only a few that have turned a traditional product into a connected product-as-a-service. The new white paper is created to guide companies through the fundamental changes required for such a business model. There are a variety of technologies to choose from when connecting a product or service. 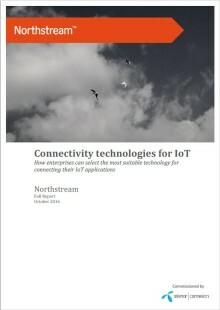 Therefore, consulting firm Northstream has produced a white paper, commissioned by Telenor Connexion, to help guide businesses among the various Internet of Things (IoT) technologies.